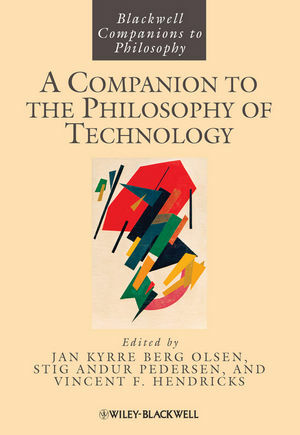 Drawing on essays from leading international and multi-disciplinary scholars, A Companion to the Philosophy of Technology is the first comprehensive and authoritative reference source to cover the key issues of technology’s impact on society and our lives. Jan Kyrre Berg Olsen has a Ph.D. in Science Studies and teaches Theory of Science at the Faculty of Public Health, University of Copenhagen. He is the editor of various publications, including a Danish anthology on the concept of “time” in science and Philosophy of Technology: 5 Questions (2007). Stig Andur Pedersen is Professor of Philosophy of Science at Roskilde University. He has published numerous papers on topics such as mathematical logic, mathematical modeling in biology, foundational studies of mathematics and physics, and philosophy of medicine and engineering. He is also the co-author of Philosophy of Medicine (1990) and has co-edited several volumes. Vincent F. Hendricks holds two doctoral degrees in philosophy, is Professor of Formal Philosophy at Roskilde University, and the winner of the Danish Elite Research Prize 2008. His work has been influential on modern mathematical and philosophical logic and concentrates primarily on bringing mainstream and formal approaches to epistemology together. He is the author of numerous texts and papers in this field.